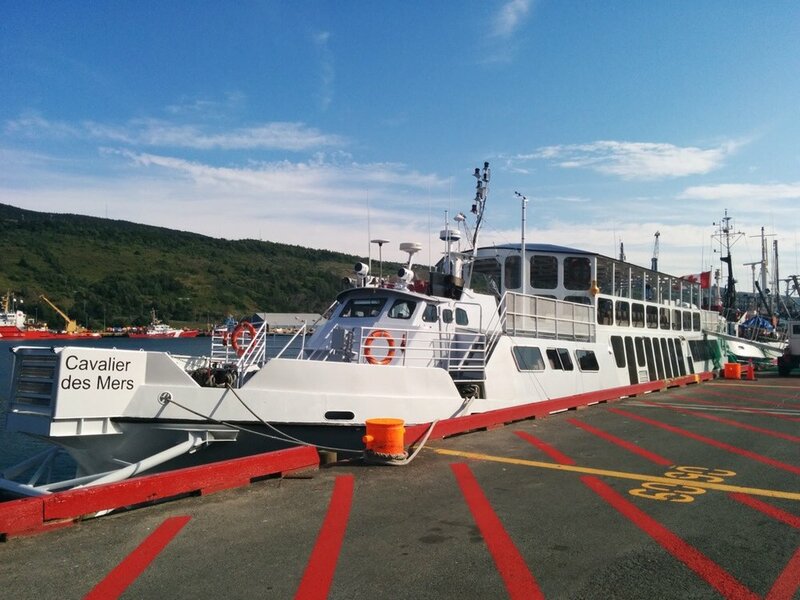 This passenger vessel was in harbour for just about two weeks. She was a unique shape to see next to the fishing, supply, and sailboats that are usually scattered along the harbour in the summer. The Cavalier des Mers is sailed by Investissements Navimex Inc., and has been registered with them since the year 2000. She can hold 200 passengers on her two decks, and has a cruising speed of 15 knots. Her presence in St. John's seems to be linked to the Bull Arm project. She is said to be planned for use too shuttle crew to and from the build site of the gravity-based structure. These two beauties arrived today! The HMCS Glacé Bay and HMCS Shawinigan are the first Canadian navy vessels we have had in so far this summer. I have a soft-spot for any naval vessels that come in, so these additions made me particularly happy. This class of vessel is primarily crewed by members of the Royal Canadian Naval Reserve. They are used for missions such as search and rescue, law enforcement, resource protection, fisheries patrols, and general navy operations and exercises. There are 12 Kingston-class vessels in the Royal Canadian Navy, with six on each coast. I've seen one come into St. John's at a time before (usually in the summer months), but this is the first time I've seen two. 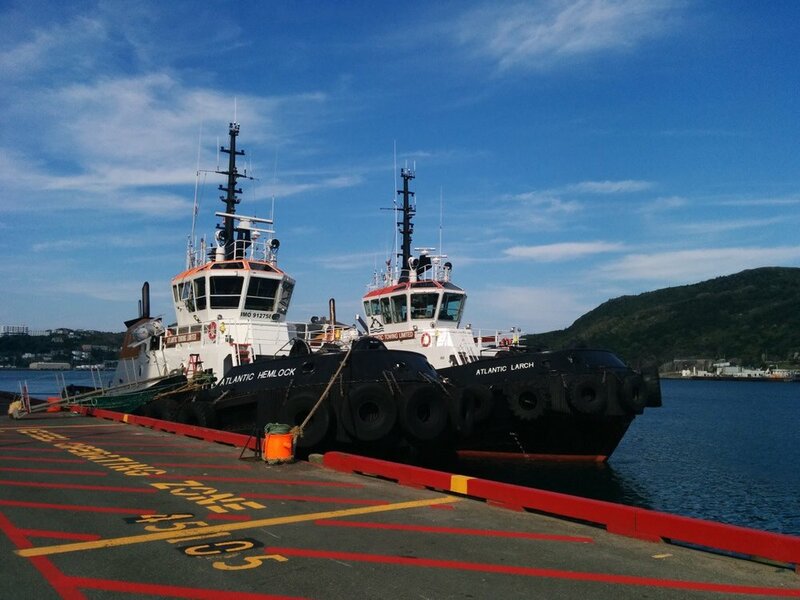 These twin tugs have been sitting side-by-side since their arrival. They are also thought to be headed for the Bull Arm project to help move the platform to deep water when it is ready. With the departure of the barge and it's accompanying tug from the harbour earlier this week, I'd say it won't be long until these two are underway. That's it on this fine Friday! Have a great weekend everyone, wherever you are! Images used this week were my own.